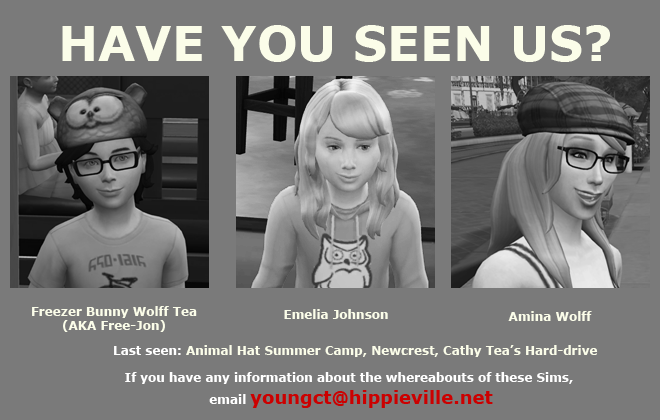 Freezer Bunny Wolff Tea, Emelia Johnson, and Amina Wolff have gone missing. 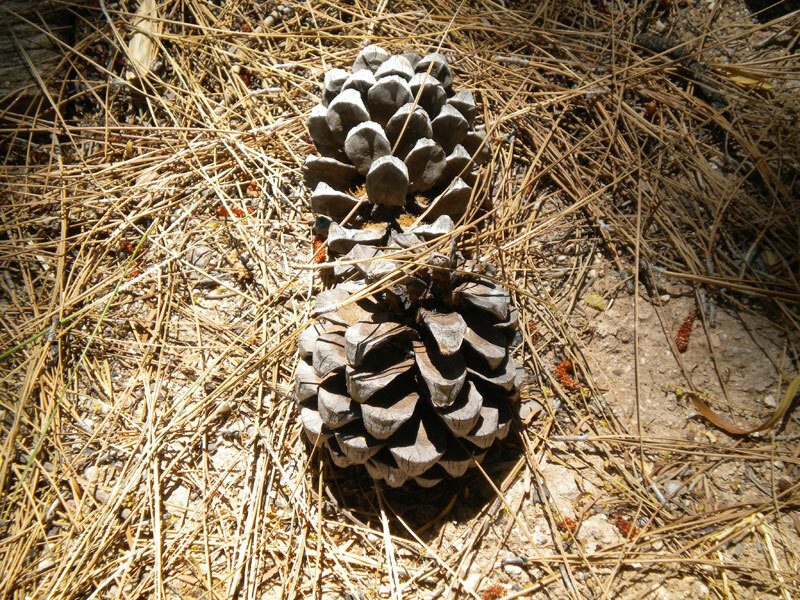 You can help find them. Download Elder Wolff from the Gallery. He is marked with the hashtag #wheresfree. Let Elder roam your games, asking anyone he meets “Have you seen Free?” Include this in your story/blog and tag your post #wheresfree. 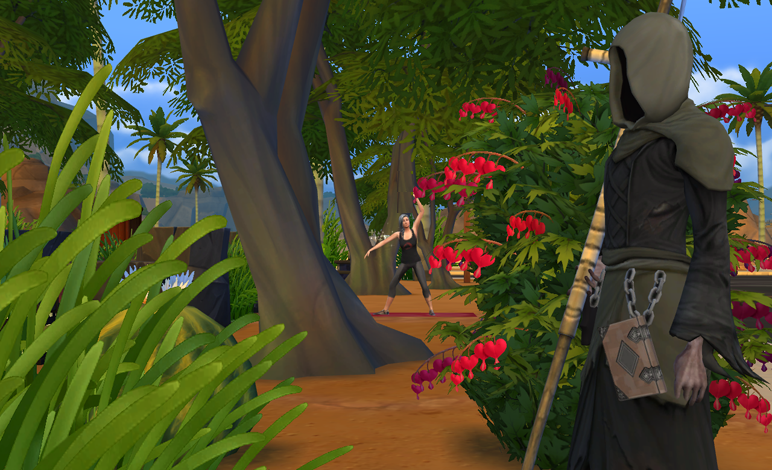 Let us know through comments here or on the #wheresfree thread at the EA Forums if Elder has been looking for Free, Emelia, and Amina in your games, and we’ll link to your post here. Help us find these missing Sims!